Each approx. 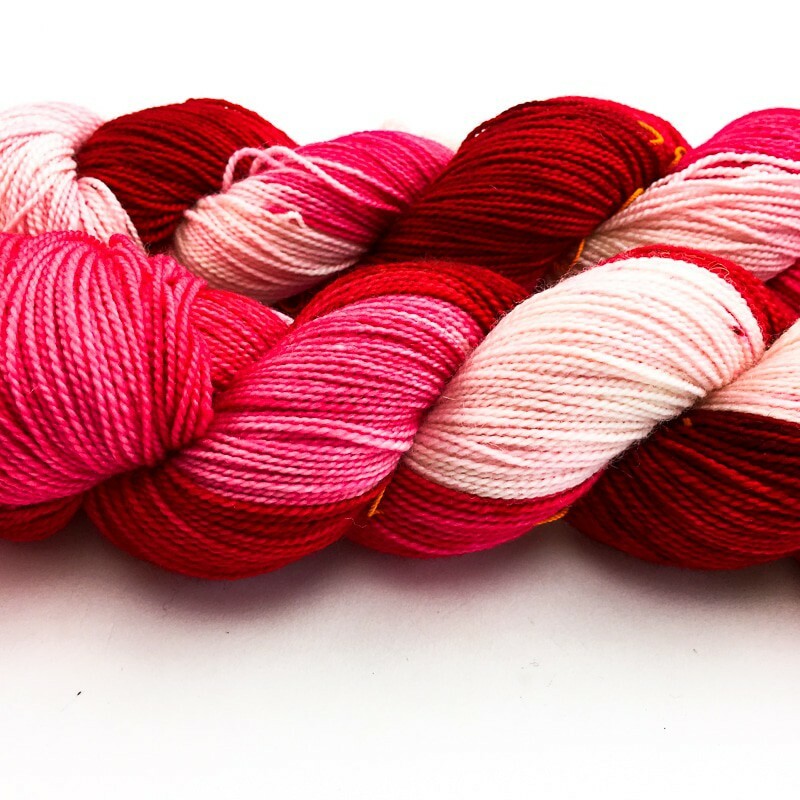 4 oz skein of sock yarn is hand-dyed in vibrant colors. Perfect for socks, mitts, scarves, and, of course, baby knitting! 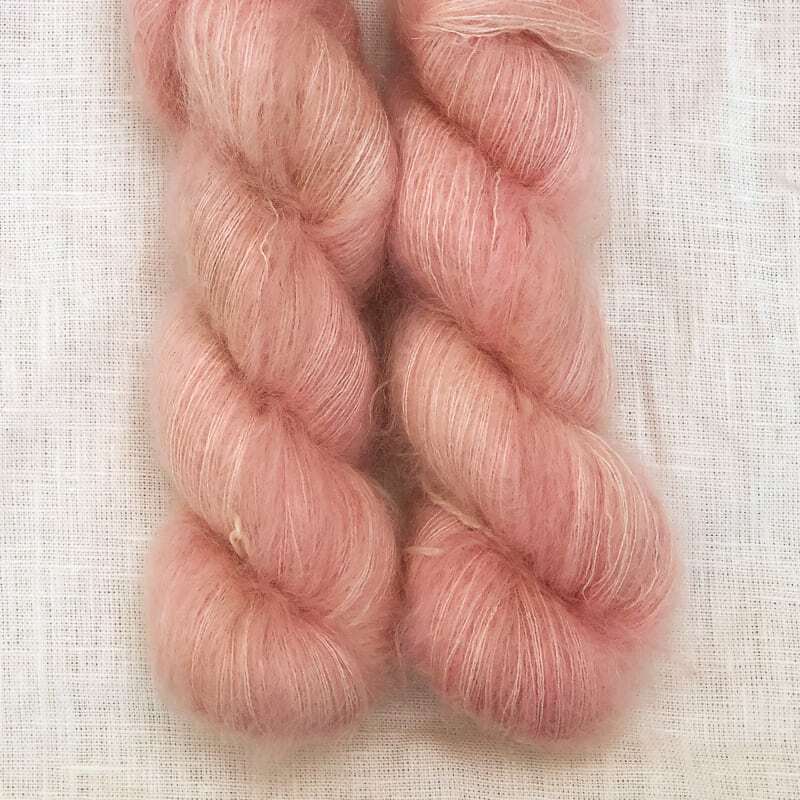 100% superwash merino. 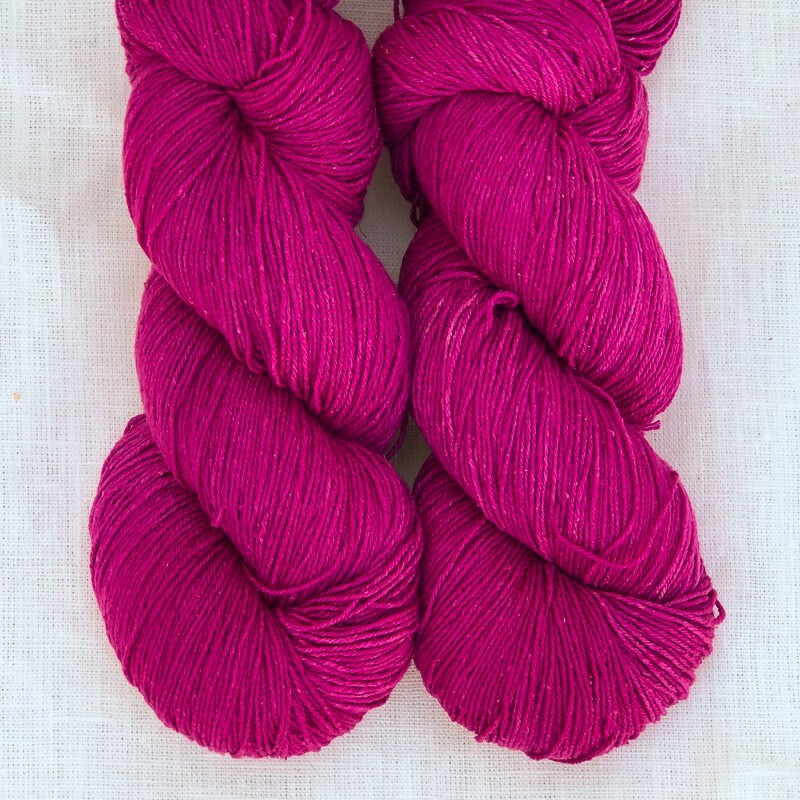 Very soft and springy with a nice, tight twist. 390 yards per skein and 7-8 sts/inch on US 3-5 needles.